Our office is made up of a team of professionals dedicated to providing the best quality healthcare in a responsive and caring environment. 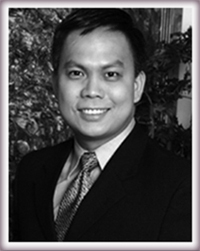 Dr. Su Wooi Teoh is Board certified with years of experience in the profession. He works in concert with nurses and office staff who try to understand your health issues quickly and apply the right treatment to get you back to your optimal health. Hearing Loss in Infants and Children: an update on the evaluation and management paradigms, 2005. Cochlear Implantation in Adults with Prelingual Deafness. Part I. Clinical Results, 2004. Cochlear Implantation in Adults with Prelingual Deafness. Part II. Underlying Constraints that Affect / Audiological Outcomes, 2004. Development of Language and Speech Perception in Congenitally, Profoundly Deaf Children as a Function of Age at Cochlear Implantation, 2003.